You'll come out smelling like a rose! Is your Dwelling listed on Homeaway, VRBO, AirBnB, Flipkey, Proper Mangers for a Vacation Short Term Rental or, are you considering listing it? Then you have a special need since this type of dwelling rental requires special insurance. Insuring vacation rental properties has become a challenge in the past few years. Many insurance carriers won't insure them. 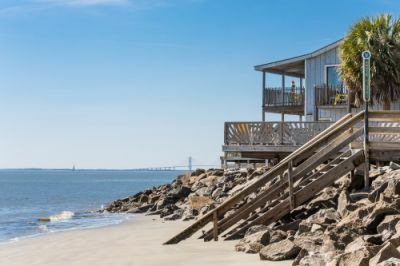 Vacation Rental Insurance is written for the unique exposure of vacation short term rental homes, cabins, condos (no matter where they are located ) and beach houses along the coast of Texas. This program offers coverage for buildings, contents, loss of income and liability extending to hot tubs, swimming pools, docks, recreation areas, animals, pets, bicycles, small watercraft, fishing and more. For additional information or a quote call us 936 647 0549 or click on the link to the right for Vacation Short Term Rental under the Start Secure Request box..